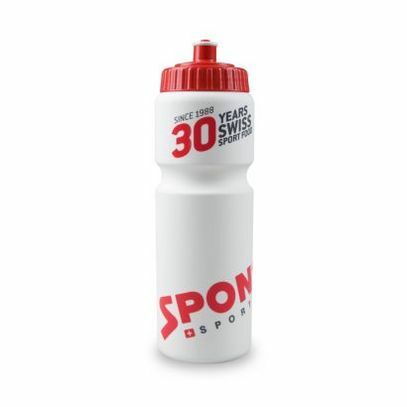 When the young company "Sponser" was registered in the Swiss Commercial Register on 2 March 1988, none of the parties involved could have imagined that Sponser would become the Swiss market leader in the field of sports nutrition years later. The secret of success? "Highest quality standards, innovation, proximity to science and top-class sport and, last but not least, loyalty to the employees", is how Robert Lutta, the long-time owner of the company, can be quoted. With Sponser, a Swiss company has been asserting itself in the competitive world of sports nutrition for 30 years. Anyone riding a mountain bike on single trails today will hardly see bikers who don't have a Sponser water bottle in their holder. Sports events and teams, amateur and top athletes all over Europe rely on sports catering from sponsors. "Excellent compatibility, a wide range of products, tasty products and fair conditions" are the reasons given when the question of "why sponsors?" is asked. 30 years ago there was nothing to indicate this pervasive success, as the beginnings were anything but easy. The knowledge about nutrition during competition and training was modest, and the need for special products was correspondingly low. Only the bodybuilder scene consumed proteins even then. In 1988, apart from Dr. Wander's products, there were still no local products on the Swiss market that met the needs of all athletes. This is how the plan of a sports nutrition company was born, which was subsequently founded in 1988 by Ernst Jucker. His many years of work in the food industry helped him to develop energy and protein shakes. These products convinced with a fine, natural taste and in particular also with best compatibility. The same characteristics characterize the wide sponsor assortment even today. With the education of the athletes, the need for functional sports nutrition adapted to the different needs grew. Sponser recognised at an early stage that the different requirements of the sports had to be taken into account and continuously expanded its product range. In the meantime, it is hard to imagine endurance, strength, team and fitness sports without functional and at the same time tasty sports nutrition. Sponser set new standards in competition catering. The acid-free "Competition", for example, was introduced as a high-dose, best-tolerated sports drink. The reclosable Liquid Energy Tube has also become the measure of all things far beyond national borders. The generally known principle "after the competition is before the competition" is met with various regeneration products, in particular the flagship "Pro Recovery". In times of contaminated food supplements and complex legal regulations, the requirements for raw material and product safety are now very high. Sponser ensures the highest quality standards and guarantees a product range without doping substances or impurities. 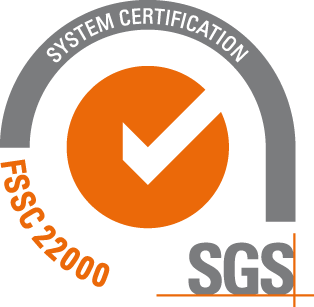 As a FSSC 22000 certified Swiss food manufacturer, only raw materials from suppliers who also hold ISO or GFSI recognised certificates are used. All raw materials are documented in quality agreements and are accompanied by a certificate of analysis, which allows complete traceability. With its commitment to Switzerland as a business location, the company based in Wollerau SZ is also subject to the high control standards of the Swiss health authorities. As an innovation leader, we strive to continue creating supplements with genuine added value in the future by developing high-quality products. Confidence in the sponsor products is high. With our national ice hockey team, biker Nino Schurter or triathlete Nicola Spirig, the most successful athletes in the sport have recourse to sponsor products. And other absolute top athletes from numerous disciplines (cycling, triathlon, running, tennis, skiing, ice hockey, swinging and water sports) rely on the sports nutrition from Swiss production. Even internationally renowned athletes now count on the high Swiss product quality and safety. From our distributor in Ireland, for example, we also know that Usain Bolt stocked up with our lactate buffer before the 2012 Olympics. And for the Russian tennis player Maria Sharapova we send products all over the world. The athletes also play an important role in other sponsoring activities. Whether amateur or top athletes, team or individual athletes, professional or hobby athletes: every athlete is part of the sponsor community and gets personal advice. Robert Lutta looks back with satisfaction on what has been achieved. "I have a great responsibility to my employees and the athletes." Flat hierarchies, loyalty and open office doors are the central factors for the patron when it comes to corporate culture. "We have grown into a real family that is well networked and in which everyone can rely one hundred percent on the other. Weekend assignments, which are the order of the day in sport, do not present us with any problems, as every employee puts his heart and soul into working for sponsors. After all, every year Sponser provides food for around a hundred well-known sporting events; from the Spengler Cup to the Jungfrau Marathon, from the youngest triathlon for the youngest to the mountain bike race lasting several days with UCI status.